Blueswan Marine Services Limited provides strategic maritime solutions to operators who span all geographies, market segments and asset types. 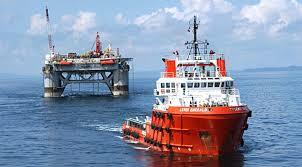 Blueswan offers international standard services to leading actors in the oil and gas industry. With a Fleet of Offshore Support Vessels (OSVs), Anchor Handling Tug Supply Vessels (AHTS) ,Diving Support Vessels (DSV) , Remote Operated Underwater Vehicles (ROV) and Pipelaying vessels, Blueswanmarine is meeting the offshore support services needs of Exploration and Production (E&P) activities of companies operating oil fields in the West Africa region.